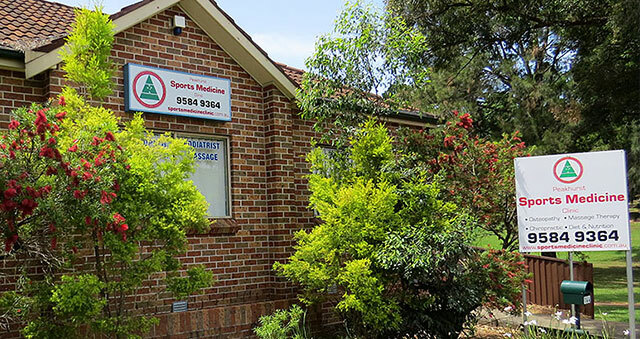 At only a short 20 minute drive from Canterbury, Sports Medicine Clinic is a highly trained clinic that provides osteopathy, chiropractic and physiotherapy for sport and non-sport injuries to patients in Canterbury. Osteopathy is a manual medicine that diagnoses and treats the body as an entire unit. It is safe and effective for every member of the family for treating a wide range of strains or injuries. Osteopathy diagnoses patience understanding the principle that the body is an inter-related system. Rather than an injury being treated singularly, it is diagnosed in relation to the whole body. This method allows for more comprehensive treatment and long-term rehabilitation. Osteopathy can achieve this through treating other parts of the body that may be impacted or causing the injury, therefore preventing repeated strain. For osteopathy in Canterbury, visit Sports Medicine Clinic to treat the whole family. Chiropractic is another treatment option that is available for at Sports Medicine Clinic for patients in Canterbury seeking a chiropractic option. Similar to osteopathy in that it treats patients comprehensively under the principle that the body is an inter-related functioning unit, Chiropractic is another option for the whole family. However, unlike osteopathy, Chiropractic specialises in injuries and strains of the musculoskeletal system. Chiropractic treats patients with the principle that the body is able to heal itself. Through this treatment option, patients will not only be diagnosed but also treated to address surrounding nerve tissues that can be affected by skeletal injuries or strains. Chiropractic is popular option as chiropractors are the only trained health professionals that are able to locate and treat vertebral subluxations. For patients in Canterbury suffering from symptoms ranging from headaches to back pain, chiropractic could be the perfect treatment option. The final treatment option that we offer our clients is physiotherapy, if you are looking for physiotherapy in Canterbury; Sports Medicine Clinic is only a short 15 minute drive. Physiotherapy is a type of manual medicine that is able to diagnose, treat and rehabilitate a wide range of injuries.